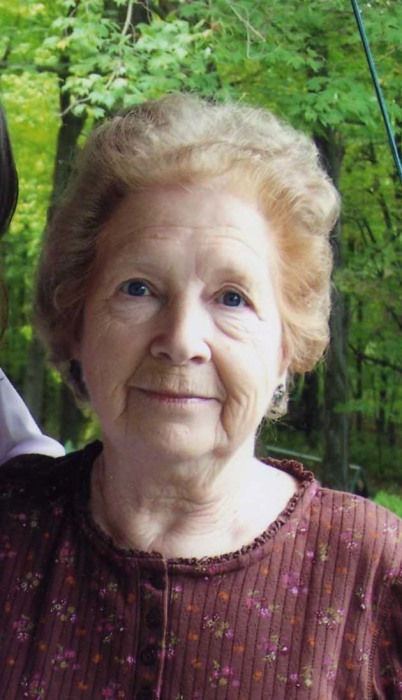 Obituary for Anna Margaret Dixon | Carlson-Shugarts Funeral Home, Inc.
Anna Margaret Dixon age 86 of Munderf, PA; died on Sunday January 20, 2019 at U.P.M.C. Altoona following a brief illness. Born on August 28, 1932 in Richardsville, PA; she was the daughter of the late Elmer and Mabel Miller Vandervort. Retired, Margaret had been employed at D & K Machine Company where she worked in the shipping and receiving department for 30 years. She was Methodist by faith. Margaret was a lifetime member of the N.R.A. She enjoyed gardening, growing flowers, canning and especially spending time with her family. She is survived by Guy Dixon of Munderf, a daughter Marci (Dennis) Rogers of St. Marys, PA; and a son Carl (Rhonda) Dixon also of Munderf. She is also survived by 6 grandchildren and 7 great grandchildren. In addition to her parents she is also preceded in death by 2 brothers and 2 sisters. There will be no public visitation. All services will be private at the convenience of her family. Memorial donations may be made to the charity of the donors choice.